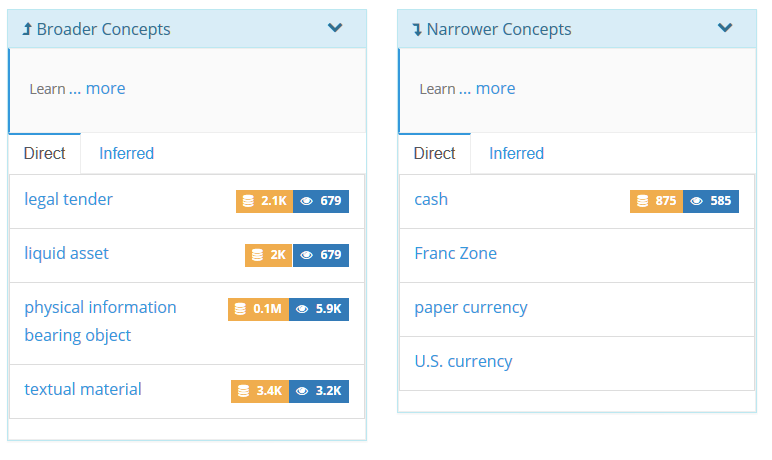 This article is the first installment in a new, occasional series describing non-machine learning use cases and applications for Cognonto’s KBpedia knowledge graph. Most of these articles will center around the general use and benefits of knowledge graphs, but best practices and other applications will also be discussed. Prior to this, our use cases have centered on machine learning and knowledge-based artificial intelligence (KBAI). These prior use cases, plus the ones from this series, may be found on the Cognonto Web site under the Use Cases main menu item. This kick-off article deals with browsing the KBpedia knowledge structure, found under the Knowledge Graph main menu link on the Cognonto Web site. KBpedia combines six public knowledge bases — Wikipedia, Wikidata, GeoNames, OpenCyc, DBpedia and UMBEL — and their concepts, entity types, attributes and relations. (Another 20 general vocabularies are also mapped into the KBpedia structure.) 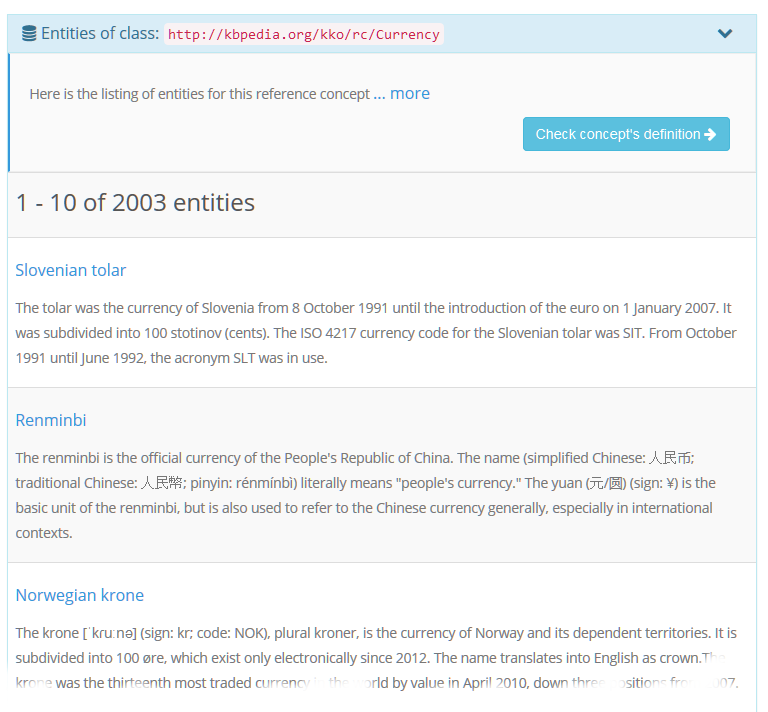 KBpedia is organized as a knowledge graph. 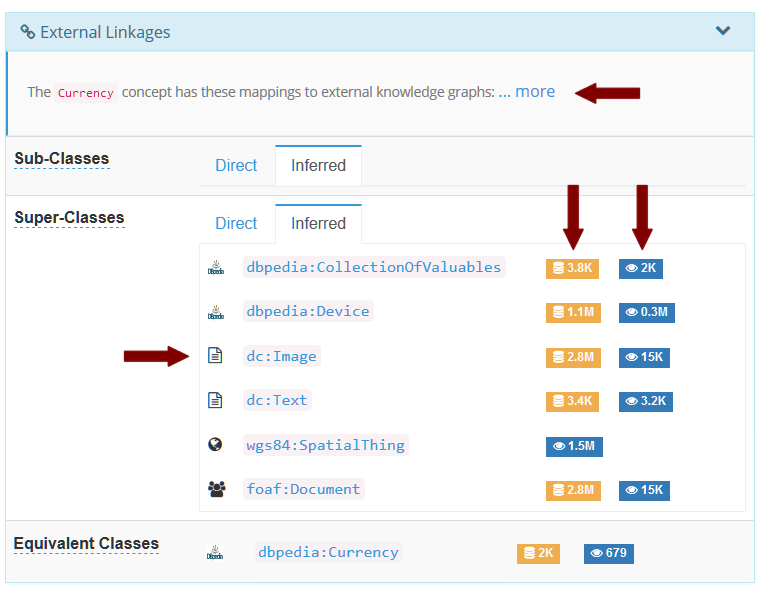 This article describes the various components of the graph and how to browse and inspect them. Since client knowledge graphs also bridge off of the initial KBpedia structure, these same capabilities apply to client versions as well. These uses, of course, do not include the work-related tasks in natural language processing or knowledge-based artificial intelligence. This combined KBpedia knowledge structure contains more than 39,000 reference concepts (RCs), organized into a knowledge graph as defined by the KBpedia Knowledge Ontology. KKO is a logically organized and computable structure that supports inference and reasoning. About 85% of the RCs are themselves entity types — that is, 33,000 natural classes of similar entities such as astronauts or zoo animals — that are organized into about 30 “core” typologies that are mostly disjoint (non-overlapping) with one another. By definition an entity type is also a ‘reference concept’, or RC. KBpedia’s typologies provide a powerful means for slicing-and-dicing the knowledge structure. The individual entity types provide the tie-in points to about 20 million individual entities. The remaining RCs are devoted to other logical divisions of the knowledge graph, specifically attributes, relations and topics. 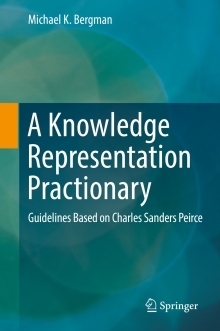 It is this structure, plus often connections to another 20 leading external vocabularies, that forms the basis of the KBpedia Knowledge Graph. The Core Structure for KBpedia is the next panel. 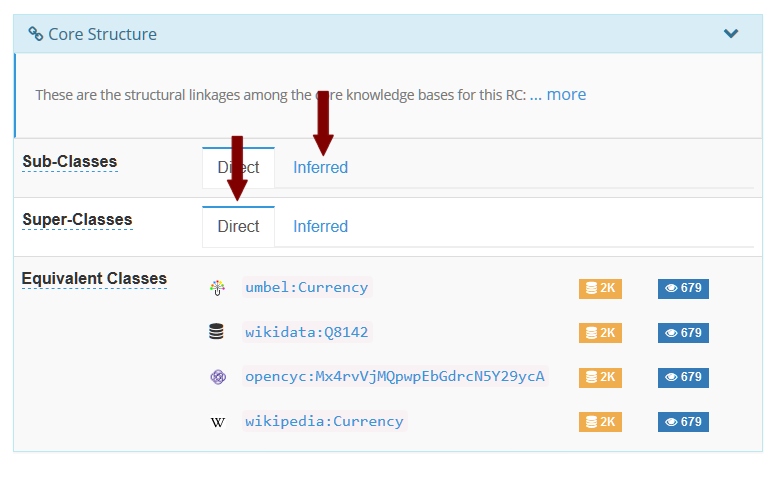 Two characteristics define what is a core contributor to the KBpedia structure: 1) the scale and completeness of the source; and 2) its contribution of a large number of RCs to the overall KKO knowledge graph. The KBs in the core structure play a central role in the scope and definition of KBpedia. This core structure of KBpedia is supplemented by mappings to about 20 additional external linkages, which are highly useful for interoperability purposes, but do not themselves contribute as much to the RC scope of the KKO graph. The Core Structure is derived from the six (6) main knowledge bases — OpenCyc, UMBEL, GeoNames, DBpedia, Wikipedia and Wikidata. Entities are distinct, nameable, individual things. There are more than 20 million of them in the baseline KBpedia. Nearly 85%, or 33,000, of the reference concepts within the KBpedia Knowledge Ontology (KKO) are entity types, these natural classes of entities. They are key leverage points for inteoperability and mapping. Instances (or entities) are related to the KKO graph via the rdfs:type predicate, which assigns an entity to one or more parental classes. It is through this link that you view the individual entities. This article is part of an occasional series describing non-machine learning use cases and applications for Cognonto’s KBpedia knowledge graph. Most center around the general use and benefits of knowledge graphs, but best practices and other applications are also discussed. Prior machine learning use cases, and the ones from this series, may be found on the Cognonto Web site under the Use Cases main menu item. This article deals with browsing the KBpedia knowledge structure, found under the Knowledge Graph main menu link on the Cognonto Web site. The article is a first in a new series covering non-machine learning use cases, already covered elsewhere, of the KBpedia knowledge graph.